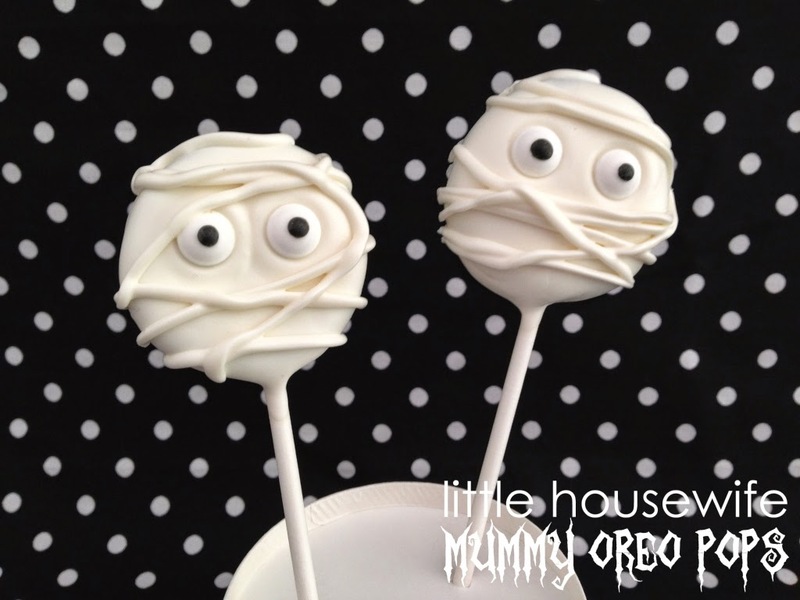 Mummy Oreo Pops are an easy, cute treat for Halloween. 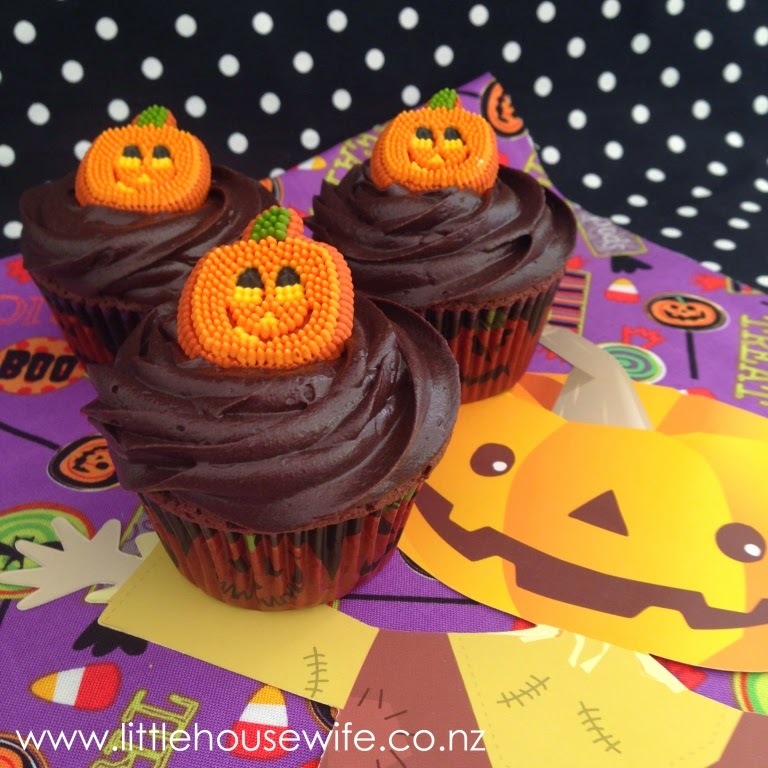 Below are a few easy steps to make them yourself. 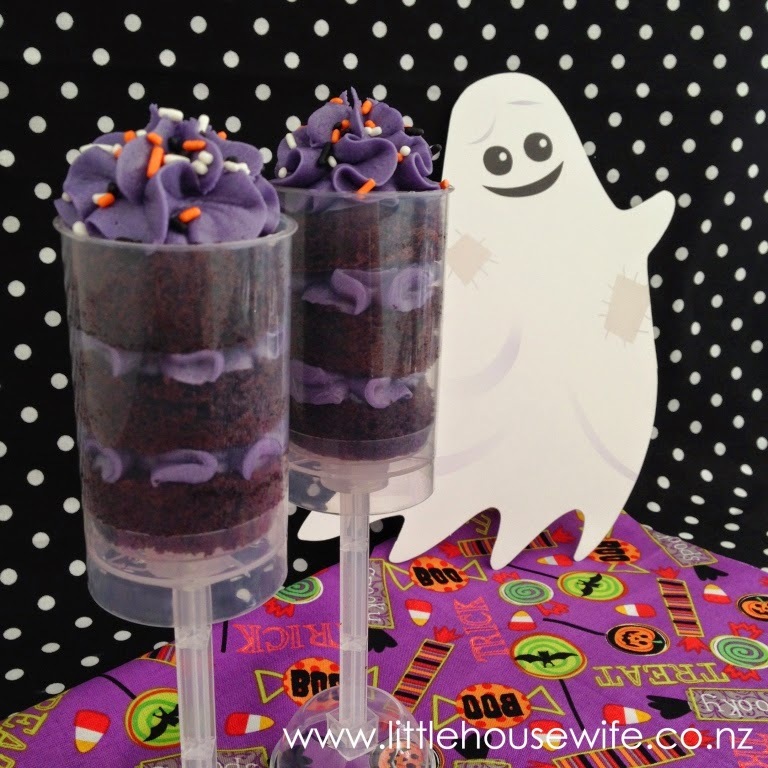 First up you'll need to melt your Candy Melts. 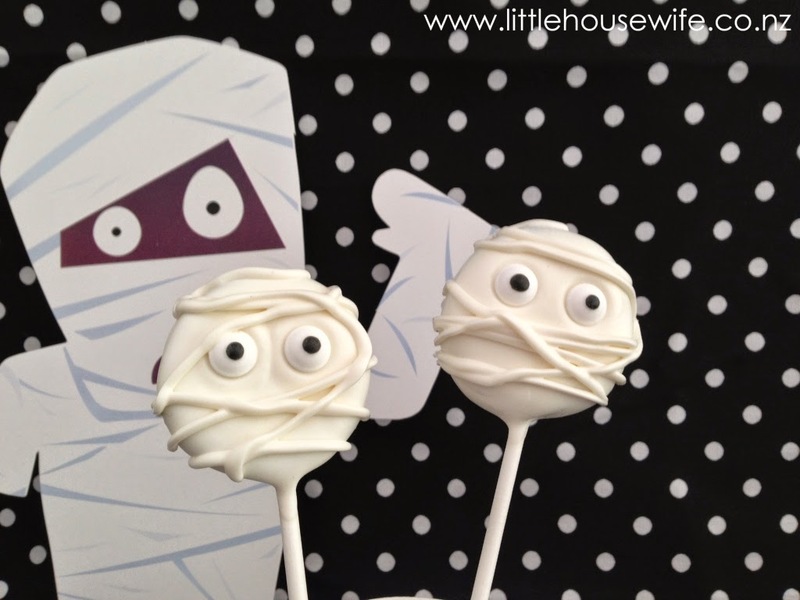 There is more information on how to do that on my Cake Pop Tutorial here. 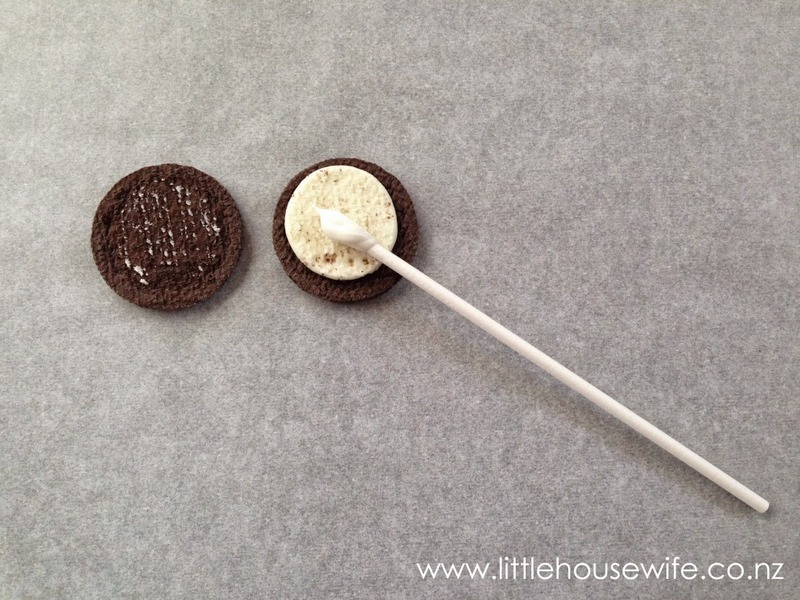 Next you need to separate your Oreos, dip the tip of a cake pop stick in to the candy melts, pop it on the Oreo filling, pop the lid back on the Oreo and squish it all back together. 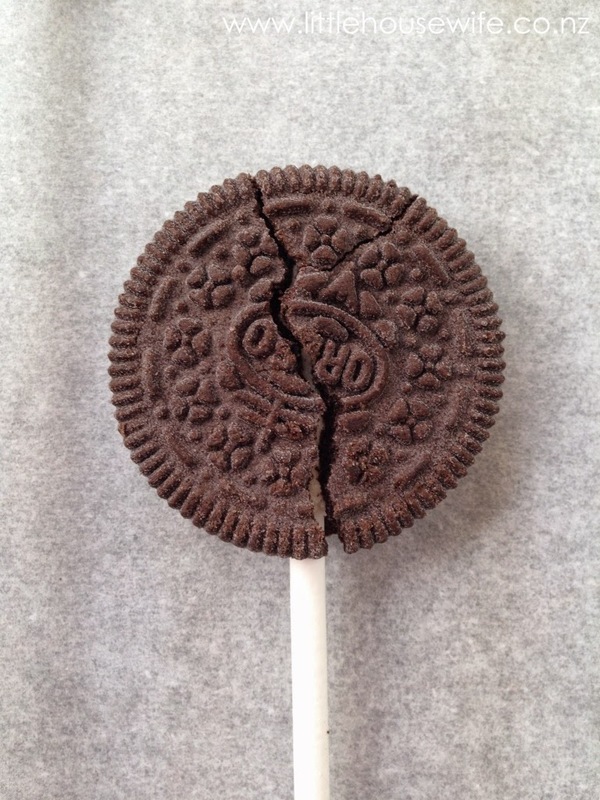 Don't worry if you break the biscuit. 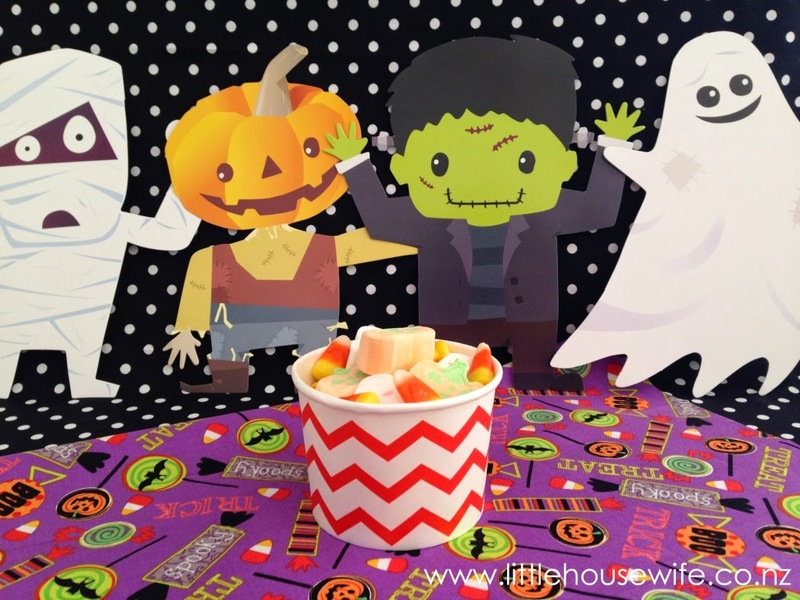 The candy melts will cover it all up. When you've finished, leave them to harden for 5 minutes or so. 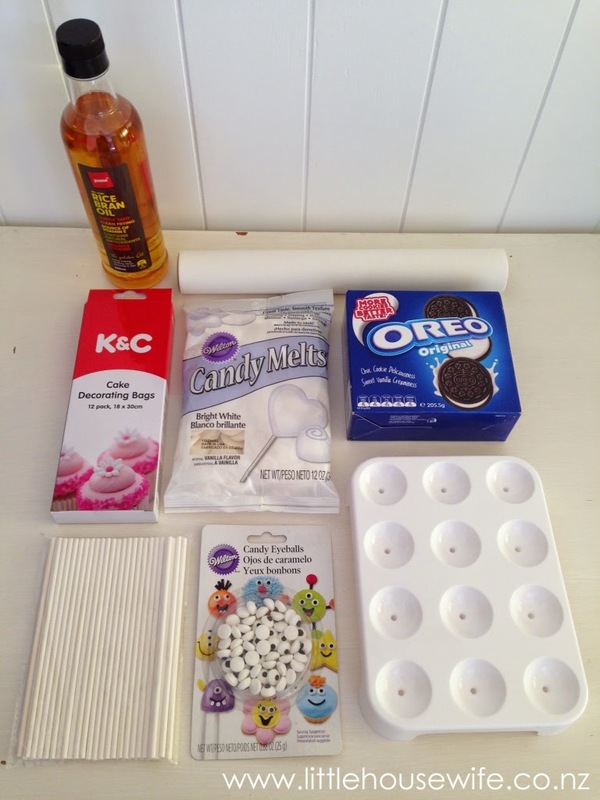 When hardened, dip each of the Oreos in to the candy melts. 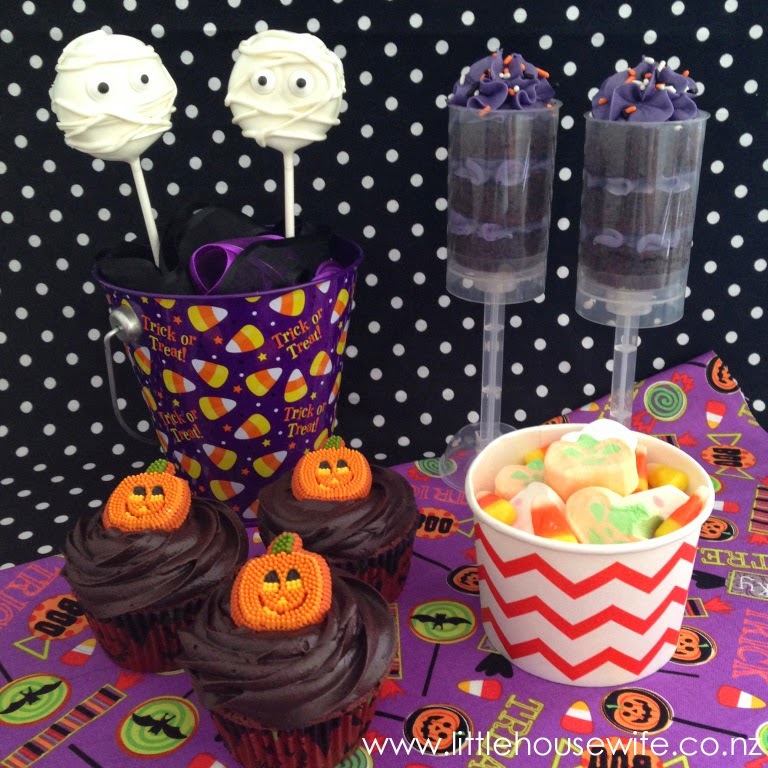 (Dipping tips here). 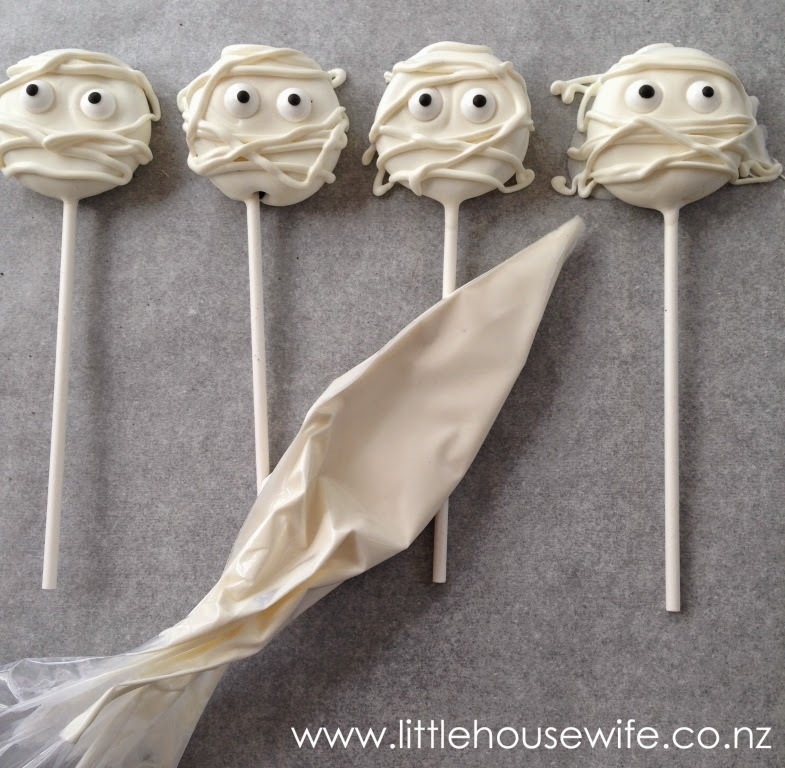 Make sure the candy melts are hot and smooth for the best result but don't worry if they are a little bumpy or oddly shaped as you'll be decorating on top of them plus it also adds to their individual look. 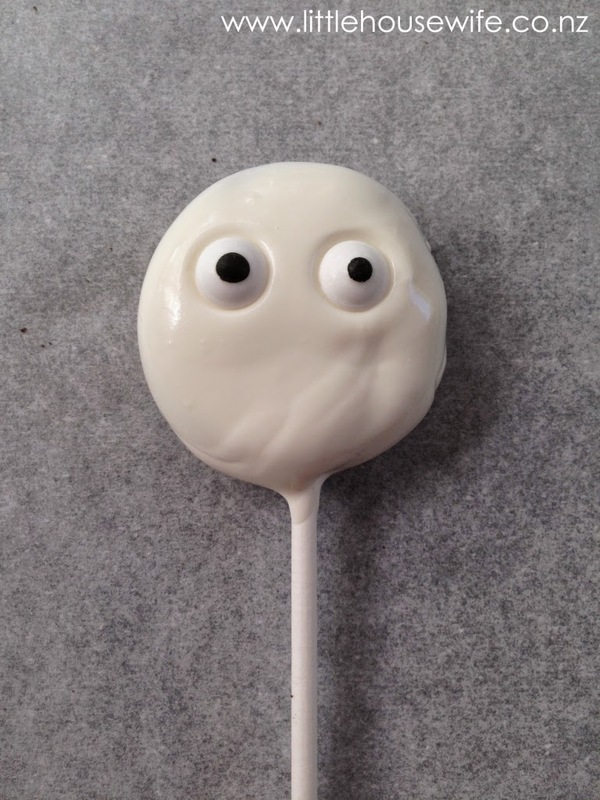 When you've finished dipping the Oreo in the candy melts lay it on a piece of baking paper and add the googly icing eyes before it sets (to save you having to ice them on later). 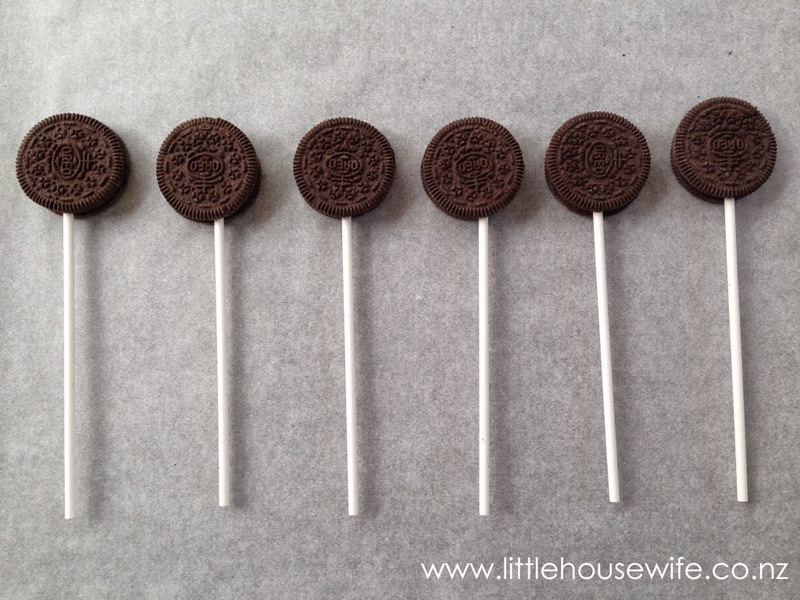 When you've finished dipping all of the Oreos, spoon the remaining candy melts in to your icing bag or snap lock bag. Snip a small corner off the end of the bag and pipe messy lines all over the mummy face. 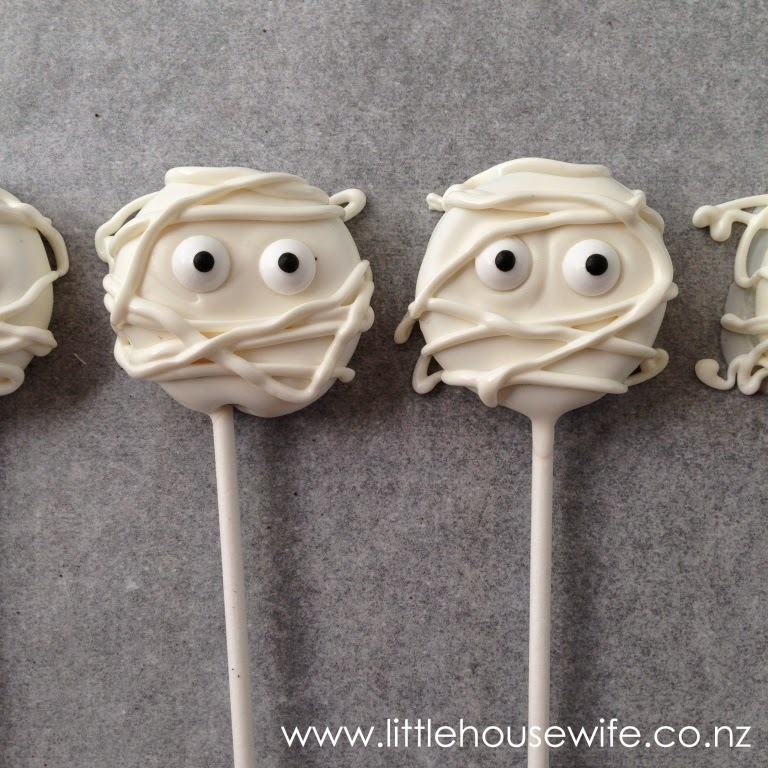 Leave them on the baking paper until dry.